Thomas Cowhey ’94 was appointed vice president of Aetna Investor Relations, responsible for maintaining the company’s relationship with the investor and analyst communities. 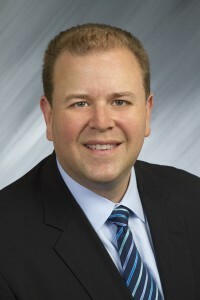 Cowhey, who joined Aetna in 2007, has most recently served the company as managing director of new business development. Prior to his affiliation with Aetna, he was a principal with Legacy Partners Group, an independent investment banking firm, and also had been a vice president at Credit Suisse First Boston. At Wesleyan, he majored in economics. He holds an MBA, with a concentration in health sector management, from Duke.